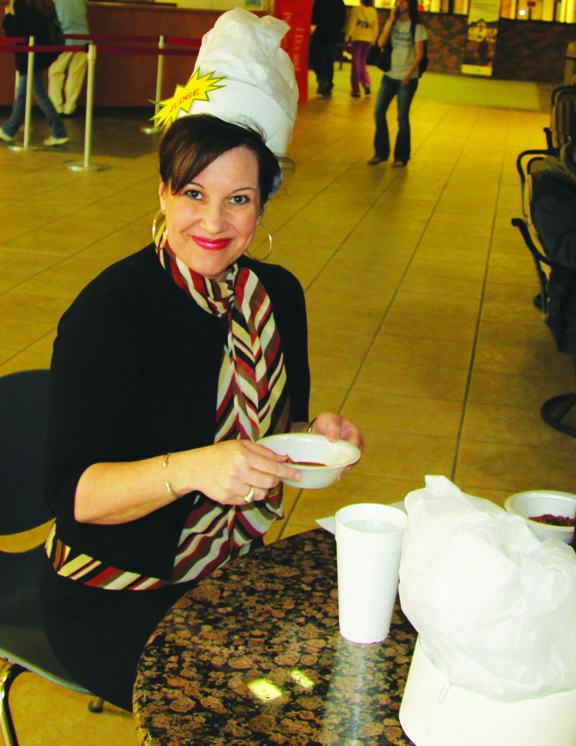 The Faculty Association Scholarship Committee hosted OCCC’s annual Make It, Bake It sale and chili cook-off Tuesday April 5. The faculty had a wide variety of goods for sale to raise funds for student scholarships. Several tables were loaded with baked goods from the faculty. Other tables had hand-made goods such as sock animals, crocheted scarves, blankets and painted items. The chili cook-off was extremely popular and brought a lot of attention. The Pioneer’s submission of white chili sold out first, but, ultimately, phsyics pofessors Tad Thurston’s “King’s Chili” won first place. This was Thurston’s fourth consecutive win. 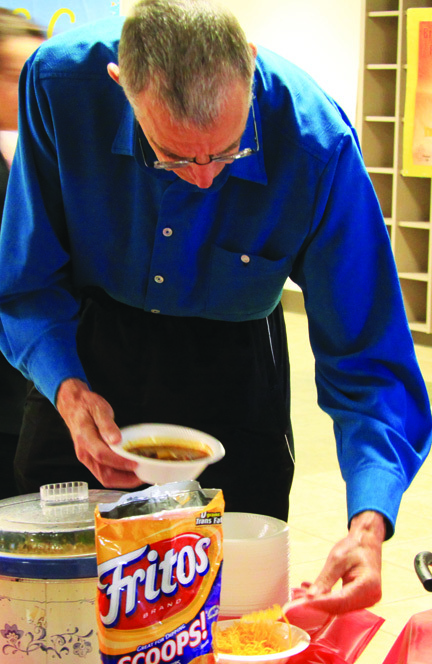 President Paul Sechrist sampled all the eight chili submissions. The judges spoke briefly about what they look for in a bowl of chili. Math professor Paul Buckelew said he judges based on the kick of the chili, how spicy it is, what texture it has and what spices were used. Community and K12 Outreach Coordinator Frank Rexach said he looks for complexity, how spicy it is and how it goes over the palatte. Speech Communications Professor Julie Corff said she doesn’t like it to be too spicy, or to give her heartburn. “I’m not a chili fan, so if I like it, it’s good,” Corff said. History professor and Faculty Association Scholarship committee chair Jeff Carlisle said totals for the sale aren’t in yet but last year’s sale totaled around $400.